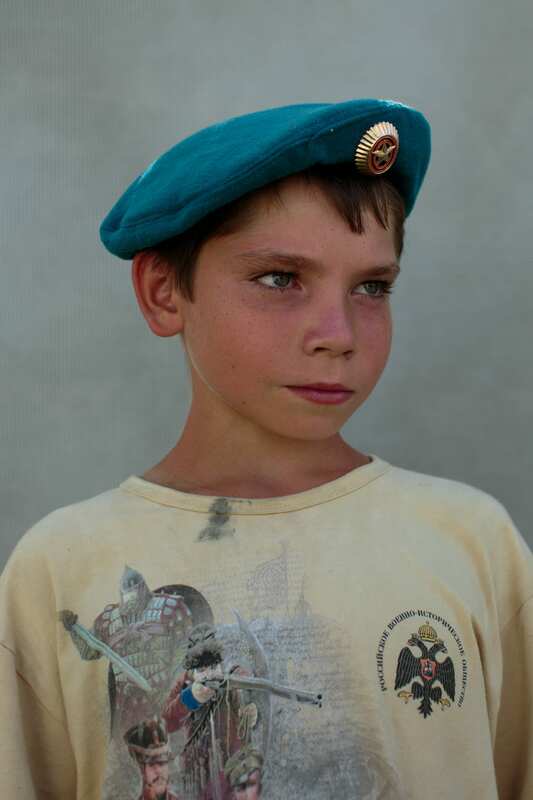 Sarah Blesener is a documentary photographer based between New York City and Moscow. Born in Minneapolis, Minnesota, she studied Linguistics and Youth Development at North Central University. While at university, she worked as a photographer for the organisation Healing Hands based in Port-au-Prince, Haiti, covering the events surrounding the 2010 earthquake. 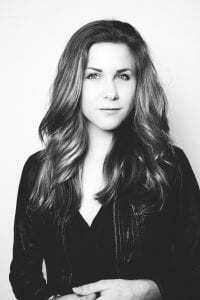 Upon graduation in 2012, she studied at Bookvar Russian Academy in Minneapolis, concentrating on the Russian language. She is a recent graduate of the Visual Journalism and Documentary program at the International Center of Photography in New York, focusing on politics and conflict studies. 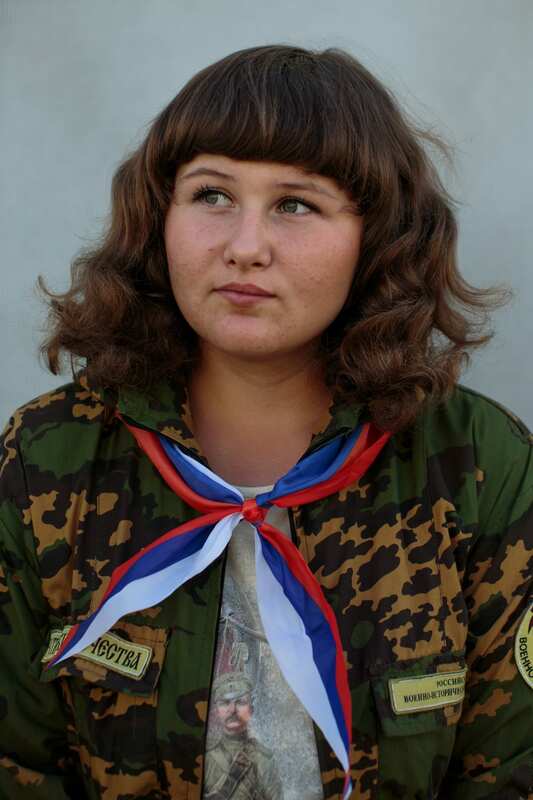 Sarah Blesener’s most recent project is titled “Toy Soldiers” in which she visited a Russian patriotic camp in Moscow oblast, where thousands of Russian youths are taught basic military skills as well as the virtues of protecting the motherland. Her first visit to Russia was to work on a documentary project with a NGO called the Harbor, which assisted teenagers “aging out” of the government orphanage system. This trip to Russia led to a lifelong interest in the country – leading her to study Russian and focusing on Russian regions of the world in which much of her work is based. 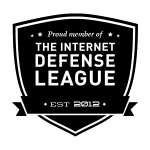 Her photography has been published in TIME, Newsweek, Der Spiegel, Zeit, New Republic, Daegens Naerens, PDN, Tages-Anzeiger, and others. 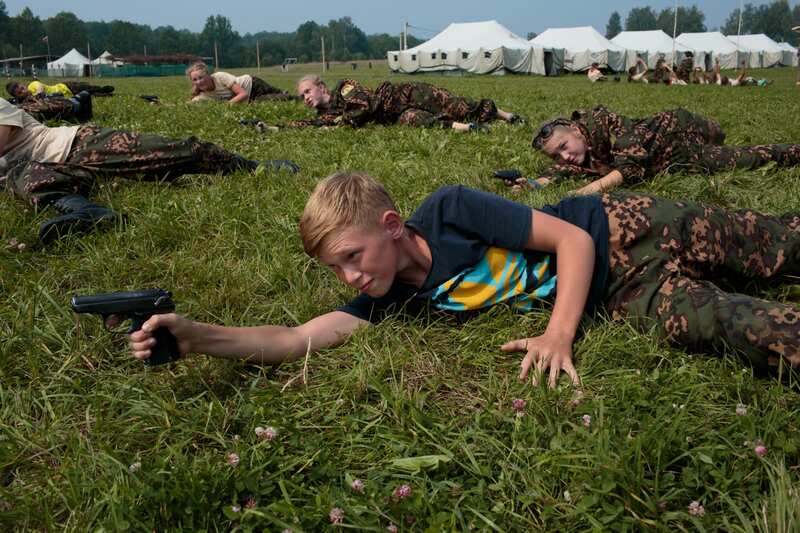 Students train in firearms at Военно-Исторический Лагерь Бородино 2016, the Historical-War Camp, in Borodino, Russia. As part of their physical training, students participate in a game of tug-a-war at Военно-Исторический Лагерь Бородино 2016, the Historical-War Camp, in Borodino, Russia. 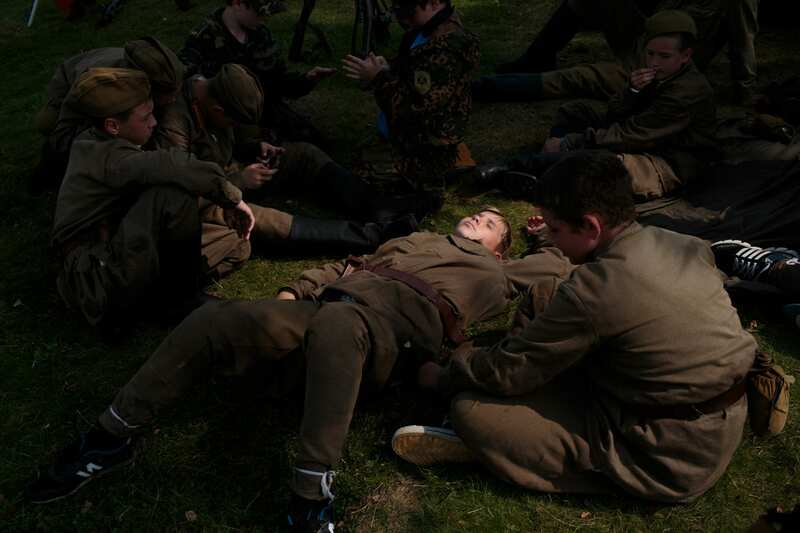 A unit dresses to re-enact Soviet Russia during WWII as part of their historical education. Dmitri (Dima) Antonets (17), escapes the heat during an afternoon off at the lake. 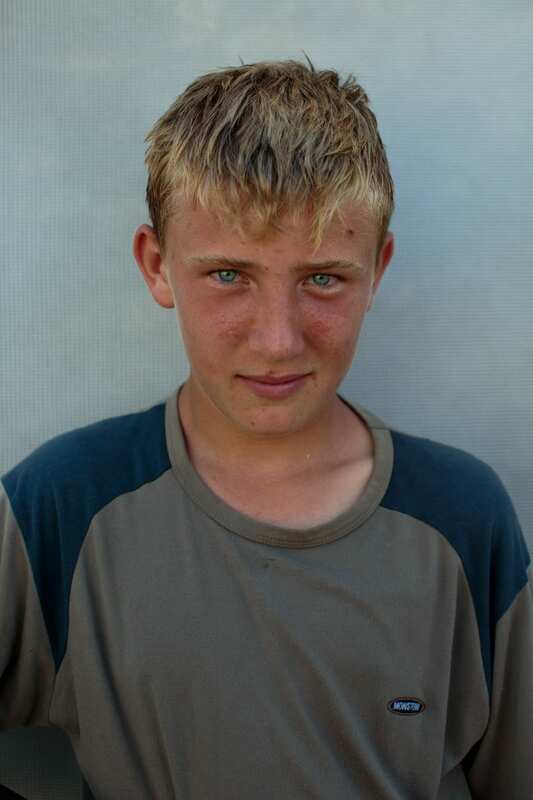 He wears a Russian Orthodox cross for safety during his travels from Stavropol to Diveevo.